Top Notch nanny with over 18 years experience. I have experience with infants to teenagers, and multiples. I am a Certified Newborn Care Specialist. I am CPR and BLS certified. I am Trustline registered and a Certified Nanny from the International Nanny Association and a Doula. I have 12 ECE units and an AA degree. As a certified Health Care Provider, I carry my own liability insurance.I have excellent references. I am able to multi-task and work extra hours and weekends as needed. I am single and do not have children of my own. My job is my first priority. I will help with cleaning, meals, errands and homework. I have a flexible schedule and looking for a kind, loving family to work with. I provide safe,educational, and age appropriate play and activities. I love to enrich childrens lives and indulge in their creativity. I have lived in Orange County for over 15 years. I was with one family for over 10 years and am looking for another long-term position. Look forward to hearing from you. 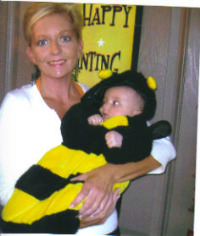 I am a Certified Newborn Care Specialist and have extensive experience with infants and newborns. I also have experience working with babies who suffer from colic and reflux. I am capable of handling multiples and special needs babies. The most challenging thing is the beginning stages of sleep training. The most rewarding part of caring for infants is a simple laugh and smile.